Dani Mckenzie, Holiday Rainbow Lights, 2019. Oil on linen, 61.5 x 87cm. Courtesy: the artist and MARS Gallery, Melbourne. Visions re-examines the way images elicit self-reflection and analysis. Namely, how photographs change the experience of being and living. 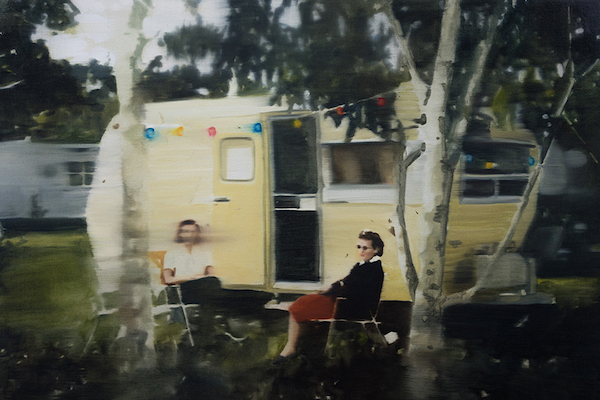 Dani Mckenzie‘s paintings ultimately unpick moments of the past, reassessing them to form new meanings in the present.